#46, Street 205 Corner 388, Toul Svayprey II, Khan Chamkarmon, Phnom Penh, Kingdom of Cambodia. Office hours: GMT+8 (9.00am to 5.00pm) Mondays to Saturdays. International telephone service for $1.50 - $5.00/minute is available in most of the hotels, internet shops and some convenience store. 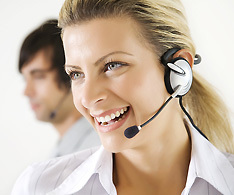 Most of the internet shops also offer international internet telephone calls for around 500-1000 riel/minute. Telephoning notes: You may notice that Cambodian telephone numbers begin with a ‘0’ (e.g. 034-000000) When dialing domestically, it is usually necessary to dial the ‘0’ at the beginning. When dialing from outside Cambodia to a Cambodian telephone number, you must use the country code but exclude the ‘0’ at the beginning (e.g. 855-34-000000). When dialing internationally from Cambodia, you must precede the number with ‘001’ or ‘007’. There are three mobile phone service providers in Cambodia: M Phone code (T) 011, MobiTel (T) 012, Bee Line (T) 090, Smart Mobiel (T) 010, Star Cell (T) 098, Cube (T) 013. MobiTel is the most widely used network and has transmitters in all major towns, although reception is still limited to within the town boundaries. Mobile phones can be rented in the arrivals hall at Phnom Penh International Airport for around $28 per week. Usage is by pre-paid phone card, available in values from $5 to $100; in most towns, you'll find outlets displaying the logos of the various providers. When you get your card, scratch off the panel on the back to reveal your PIN, then call up the top-up number-also given on the card-and enter the number to activate the card. Call rates are around $0.20 per minute within the same mobile network number or out to a local landline. Cheap SIM cards for GSM phones are available on almost any major street. A vendor should have an activated test card to be used to make sure your phone will operate on that network. Calls between mobile networks can be be spotty and Skype calls from abroad to mobiles in Cambodia are sometimes dropped, so be prepared to redial frequently. It's now easier than ever to buy a SIM card in Phnom Penh, just have your passport and expect to pay no more than US$5. There are plenty of phone stalls around central market. Mobitel has the best coverage around the whole of Cambodia and seems to have cheaper calls. Be warned when sending and receiving international SMS and calls as it does not have a 100% success rate of being recieved. In Phnom Penh or Siem Reap, you're never far from an Internet shop or café and rates are under $1 per hour. In the provinces it's a different matter. One of the best ways to keep in touch while traveling is to sign up for a free email address that can be accessed from anywhere, for example Yahoo Mail, Hotmail or Skype. Once you've set up, you can send mail from any Internet Café, or from a hotel with Internet access. There are Internet Service Providers in Cambodia such as Online, Telesurf, AngkorNet, Mekong Net, WirelessIp with reasonable price. Prepaid Internet Card providing access via Wi-Fi Hotspots can be purchased at any shops and super markets and price starts from $5 to $100. There is no shortage of Internet cafés in Phnom Penh. Most are in the 1,500 riel/hour bracket (a little under US$0.50), but provide slow service, suffer occasional power outages and do not run firewalls or anti-virus programs. Sunny Internet, 178 Street (opp Foreign Correspondents' Club), also Sisowath Quay (next to the Riverstreet restaurant). Provides a faster service at US$1/hour and is popular with tourists and expats. Galaxy Web, Street 63, near Sihanouk Boulevard. Excellent service, popular with Westerners. Wireless and wired connections for laptops are available at a number of outlets - most five-star hotels (which provide high-speed broadband access, but at a premium), and a number of cafés along Sisowath Quay including the Foreign Correspondents' Club (expensive), Fresco Café (under the FCC, also expensive), K-West Café (at the Amanjaya Hotel), the Jungle Bar and Grill, and Phnom Penh Café (near Paragon Hotel) and Metro Cafe (free). Recently, there are many restaurants and café shop like the M Café, the Corner restaurant, Café Sentiment and more offers free internet access with WI-FI - there you just bring your own laptop only. Free WiFi Internet access from opening until 6pm at this stunning riverfront venue. Surf the web in air-conditioned luxury with great food and an extensive cocktail list yours for the asking. A popular spot for obvious reasons. WiFi access at the legendary riverfront bar offered for US$3 per hour. However, the FCCC is also losted as an OnLine "Hot Spot" so cardholders should be able to gain access. A very pleasant place to surf the web. Popular British-run bar offering WiFi access through OnLine's" Hot Spot" pre-paid card system, conveniently located just across the street from the ISP "Online" HQ. Good value drinks , sports TV and a full British pub menu. Internet access in Sihanouk Ville is relatively fast and inexpensive, most internet shops offering access for $1.00/hour. Some places have a minimum charge. Many guesthouses and hotels offer internet access (some with Wifi) and there are several internet shops scattered across the town. A growing number of restaurants and bars are offering wifi access. Some have free access, though downloads may be limited. Some have an Online Hotspot, requiring that you purchase a PIC card for access, but the access is fast and unlimited and can be used at places across town.